Throughout Airbus’ first two decades in business, its competitors at Boeing would joke that “Every Airbus is delivered on the wings of a Boeing.” That statement was both accurate and fair, being that Airbus had to use modified Boeing Stratocruisers known as Super Guppies. Yes, Airbus was transporting parts for its own jets inside 1940s-era planes built by its only real competitor. As time progressed, Airbus finally resolved the issue by designing its own transport based on one of their own planes – the A300 twin-engine jet. The resulting A300-600ST (ST for Super Transporter) became commonly known as “The Beluga” for its bubble-like forehead resembling the Beluga whale. To accomplish the plane that seems to defy every law of aerodynamics, Airbus employed some major structural changes. Starting at the nose, Airbus lowered the cockpit below the cargo deck so that the cargo area could be loaded without having to disconnect any of the vital electric and hydraulic lines running to the rest of the plane. The design kept the A300’s lower fuselage, wings and landing gears, but added a cavernous cargo area on top. At 49,440 cubic feet, the Beluga’s cargo volume ranks second between Boeing’s 747-LCF Dreamlifter (65,000 cubic feet) and the Antonov An-225 (45,909 cubic feet). The Beluga is hampered by its weight lifting capability, which is only 47 tons (103,617 pounds) or roughly the weight of an empty 737. Its cargo bay measures 25 feet in diameter. The Beluga has a maximum takeoff weight of just over 341,000 pounds, while the Dreamlifter tops out at 803,000 pounds. In comparison, the 747-8 freighter is capable of lifting over one million pounds, and the An-225 can lift over 1.4 million pounds. 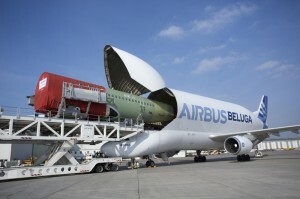 The Beluga is also incapable of hauling sections of the A380 due to its size. Those parts are still taken by barge or road convoy to the A380’s final assembly location in Toulouse. Powered by twin General Electric CF6-80C2 engines, the A300 version of the Beluga only has a range of 900 nautical miles, just under the distance from Houston (IAH) to Chicago (ORD). 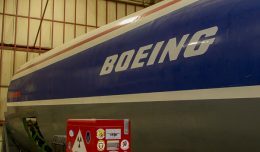 This engine is also seen on the 747-400, 767, MD-11, and C-5M Super Galaxy. 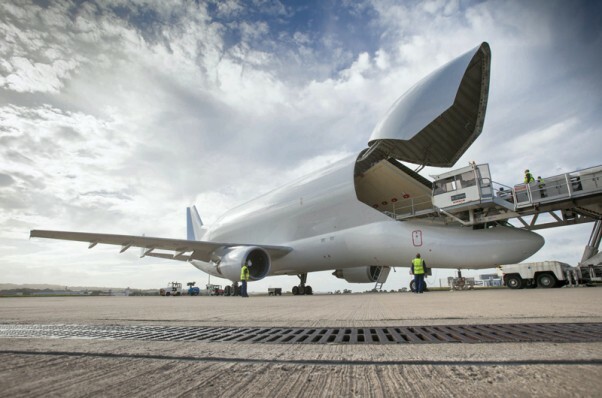 CNN reported in November that the Beluga fleet flies about 5,000 hours per year, but Airbus expects that number to double by 2017 under an internal initiative called “Fly 10,000.” With Airbus taking a record number of orders and achieving a record backlog, the next generation Beluga fleet is expected to be able to fly up to 120 flights per week, with a longer range and heavier payload capability. The first Beluga rolled out of final assembly in Toulouse in 1994 — twenty years after the first A300 was introduced — and took its first flight in September of that year. 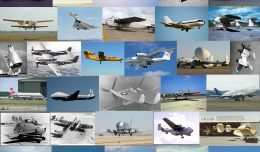 The current five-plane fleet was under construction from 1992-1999. Each plane cost an estimated $285 million. Now that the planes are marking 20 years in service with 40-year-old technology, Airbus announced last November that it is planning to build a fleet of five new Belugas on the A330-200 platform. These are expected to enter service in mid-2019. Airbus says these planes will support the ramp-up of A350 XWB construction and other production increases. Until all five A330 Belugas are in the fleet, Airbus will fly both types of aircraft through 2025. Photos courtesy of Airbus, unless otherwise noted. Paul Thompson has over 13 years of experience working in the airline industry. He is based in Denver, Colorado. You can follow him on Twitter at @FlyingPhotog or on his personal blog planegeek.com. Friday Photos: The NYCAviation/PHX Spotters LAX Meetup Is Next Month! 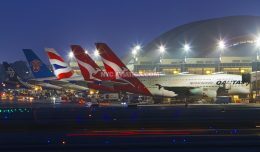 With the 4th Annual NYCAviation & PHX Spotters Meetup about a month away, we take a look at photos from the various spotting locations around LAX. 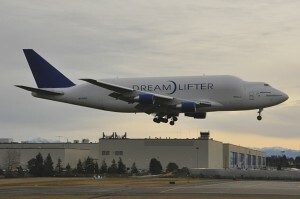 Introducing the new largest aircraft in the world! 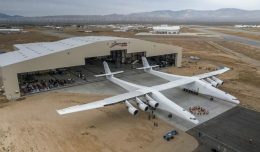 The massive Stratolaunch aircraft rolled out of the hangar for the first time last week. 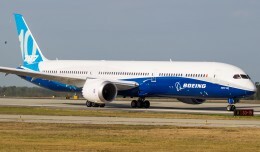 For this week's Friday Photos, we take a look at the brand new Boeing 787-10 with photos from both North Charleston and Seattle. Will the new A332 Belugas be able to carry pieces of the A380 fuselage? I havent made up my mind yet. I might even scrap the Belugas all together. When you say lifting of over 1million pounds for the 748F and over 1.4 million pounds for the An225 sounds kind of misleading, it would sound better to say that its MGTOW is that. When I hear that term it sounds more like its maximum payload. None the less, good article!